The 2.400 tpd Duna Drava Cement clinker line in Vác has been successfully re-commissioned and put into production in April 2018. In less than two years, IKN completed an enormous task to deliver the project on EPC basis. The main target of the project was to adapt the pyro line for producing clinker using up to 100% RDF in the calciner. 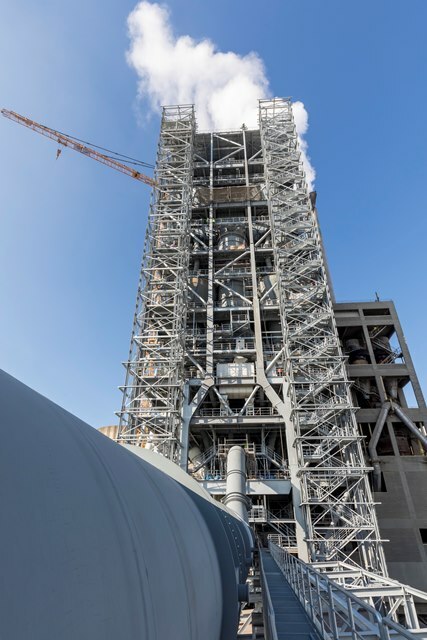 The two lower cyclone stages were replaced, a complete new preheater tower with the inline calciner was erected, a new bypass system as well as a new static inlet in the clinker cooler were installed. The upgraded kiln line combines the latest industry practices with the most modern and up-to-date process technology. 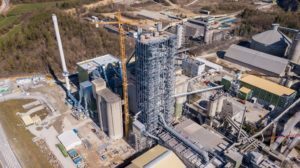 After two years of intense work, first clinker was received on schedule at HeidelbergCement’s Burglengenfeld cement works in Germany in April 2018. IKN was awarded a contract for engineering, supply and installation to upgrade the pyro line to 4000 tpd – from raw meal feeding to clinker discharge. The contract included integration engineering, supply and installation of add-on components for the raw meal grinding plant. The upgraded kiln line features state-of-the-art technology in order to reach the targeted production level and to comply with future emission limits. The new production line comprises a two-string, 5-stage preheater tower with inline calciner and Fire Bed Combustor for coarse RDF. IKN’s most modern preheater and calciner design ensures minimum pressure drop at maximum performance and high efficiency. The kiln line has been designed for maximum use of a broad range of alternative fuels. 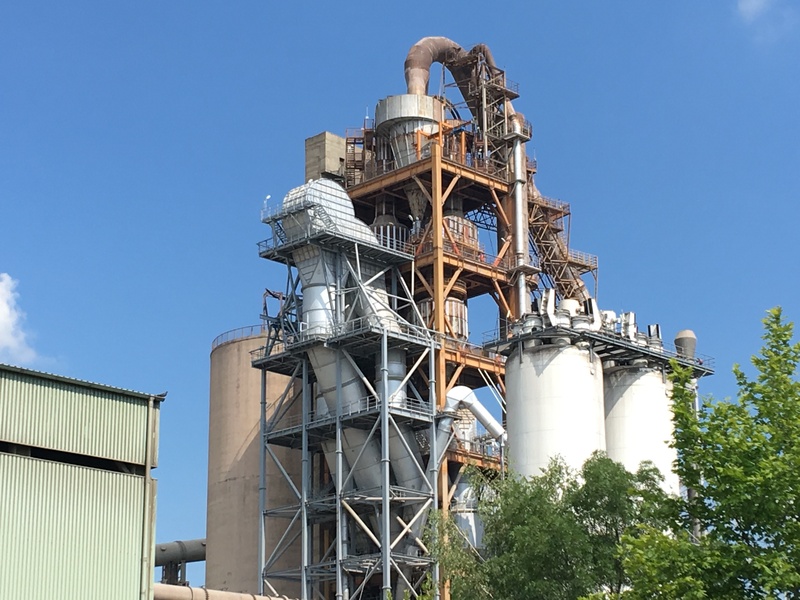 With the upgrading of one of Europe’s most modern clinker lines, IKN is proud to have been selected as trusted partner for this enormously challenging project on EPC basis.